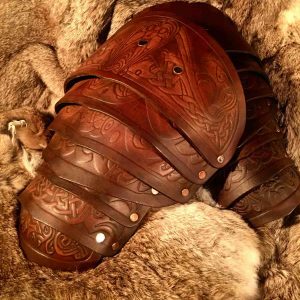 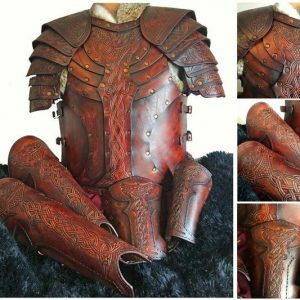 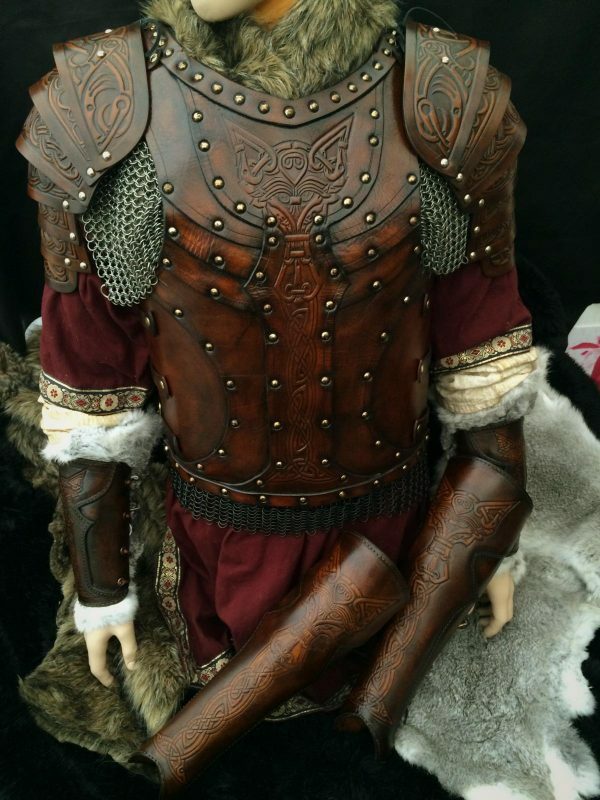 The Vendel Wolf Full Set Leather LARP Armour, is one of the most unique designs to be offered by Black Raven Armoury , this has been professionally dyed and built for you by ourselves. 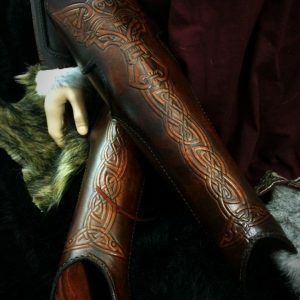 Created & designed by Alex Agricola, the whole set is made of premium grade top grain 3.2-3.5 mm Veg Tanned leather. 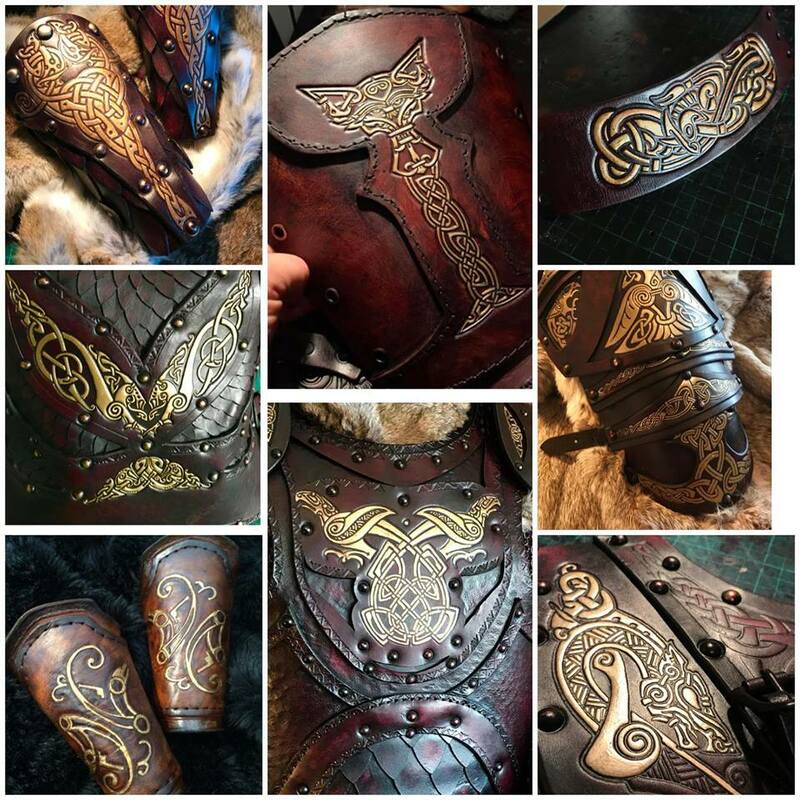 The set comprises of the Body and a pair of Shoulders, Greaves and Vambraces.